As a ghostwriter, you’re paid for the volume of writing you do. When you take on a freelancing contract to write a book, the single biggest way to increase writing speed—and therefore income—is to outline the story. With a good novel outline, you know exactly where to begin, you know the ending, and you know the steps in between. 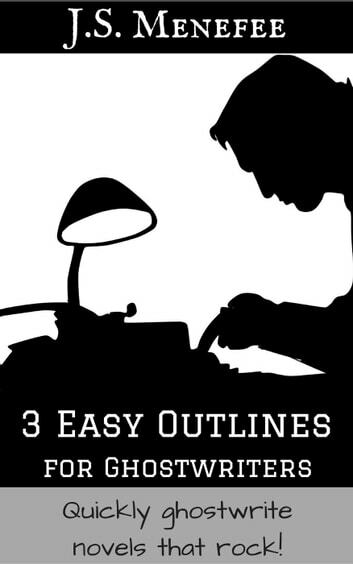 Once you see how to outline your novel well, and do it fast, you’ll wonder why you ever doubted it. I promise you, outlining doesn’t kill your creativity unless you want it to. Outlines can be changed. There, I said it. They aren’t locked in stone, so don’t listen when people tell you they are. As much creativity goes into creating an outline as it does going into the actual writing, but you’ll merely see plot holes before you waste 6,000 words on a scene that is fundamentally flawed, or worse, gets cut. That’s your money getting cut. For most people, by using one of these outlines, your writing speed will increase, but your creativity will, too. 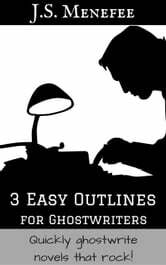 In this book, I'll show you 3 top easy outlining methods, in detail, with examples. Method 3: The Plot Grid - J.K. Rowling is famous for using this method! One of these three methods will likely work for you. Each person is different, so the best technique is personal. What's your best outlining method? Come find out.